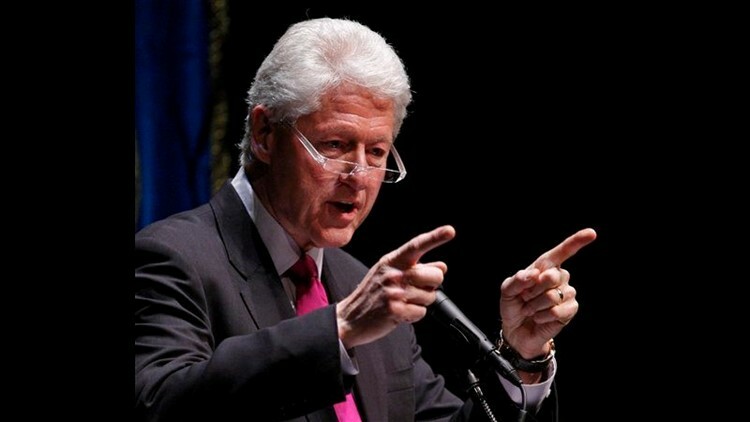 WASHINGTON (AP) — Former President Bill Clinton warned of a slippery slope from angry anti-government rhetoric to violence like the 1995 Oklahoma City bombing, saying "the words we use really do matter." On April 19, 1995, an anti-government conspiracy led by Army veteran Timothy McVeigh exploded a truck bomb outside the Alfred P. Murrah Federal Building, killing 168 people. "What we learned from Oklahoma City is not that we should gag each other or that we should reduce our passion for the positions we hold — but that the words we use really do matter, because there's this vast echo chamber, and they go across space and they fall on the serious and the delirious alike. They fall on the connected and the unhinged alike," he said. Clinton made the remarks at events sponsored by the Center for American Progress Action Fund on the upcoming anniversary of the bombing. He mentioned the rancorous fight over President Barack Obama's health care overhaul. Passage of the law elicited threats against some lawmakers. "By all means keep fighting, by all means, keep arguing," he said. "But remember, words have consequences as much as actions do, and what we advocate, commensurate with our position and responsibility, we have to take responsibility for. We owe that to Oklahoma City."